Published on 4 November 2012. 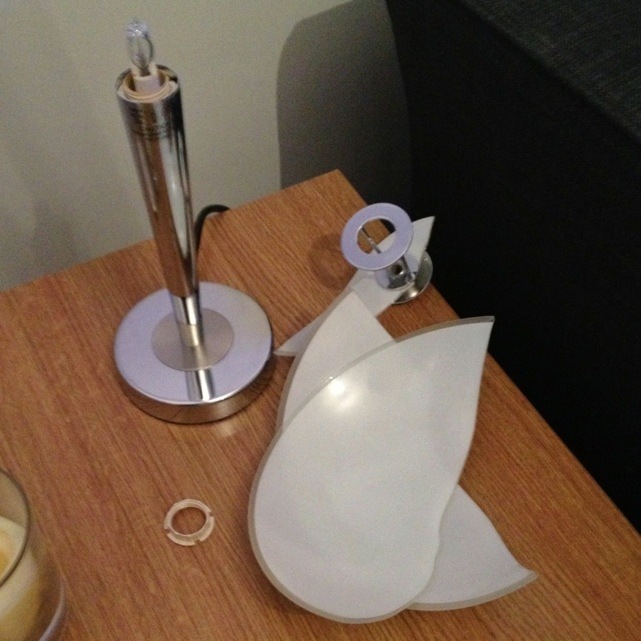 This lamp in our living room spontaneously broke itself today while I was in the kitchen, very nearly causing me a heart attack! I have no definite explanation as to what happened… the bulb went, so that might have been connected somehow. Or it might perhaps have overheated? Who knows? It’s all a bit bizarre. This 1,875th post was filed under: Photo-a-day 2012.